Not that I feel there should be no indignation, but as a person who has had a wealth of personal experience, and extra-personal experience with the police, courts, and the general power-structure : I know that the law is a tool for social control and not a just conferrer of justice. Mayor Villaraigosa says that (amongst other reasons), the encampment had to be shut down because he’s worried about the children. Seriously? This is the best he could come up with? With the reality regarding the national collusion of local police departments and the Department of Homeland Security, we can very easily see that Mayor Villaraigosa is likely to be just a pawn in a national plan. The fact that some in the ‘occupation’ were won over by his handing out ponchos a month ago should take a note from history and note that the extended hand of the government is usually a ploy to assure submissiveness and the reification of the validity of their power. Wasn’t the Occupy Wall St. movement supposed to exist outside of State power? It was supposed to be, at least according to anarchist anthropologist David Graeber. Soon into the ‘occupation’ there seemed to be a strong desire to work in collaboration with the city government. At this point it seemed like the ‘occupation’ did not need to be co-opted, they were taking it upon themselves. I sometimes feel that those who first got involved with OccupyLA did not understand that the very nature of an ‘occupation’ (as in the reclaiming of public space/buildings, not the imperialist kind) is by its very nature an ‘illegal’ operation. It assumes that private property is null & void when the commons have been so deprived to necessitate the occupation, a sort of Temporary Autonomous Zone. This is what happened in California with occupations undertaken by students, workers in the UC system in 2009 in response to tuition increases & budget cuts. They demanded nothing because they made the radical leap that posited the university administration as null & void; they became the university because the university was not meeting their needs & desires. 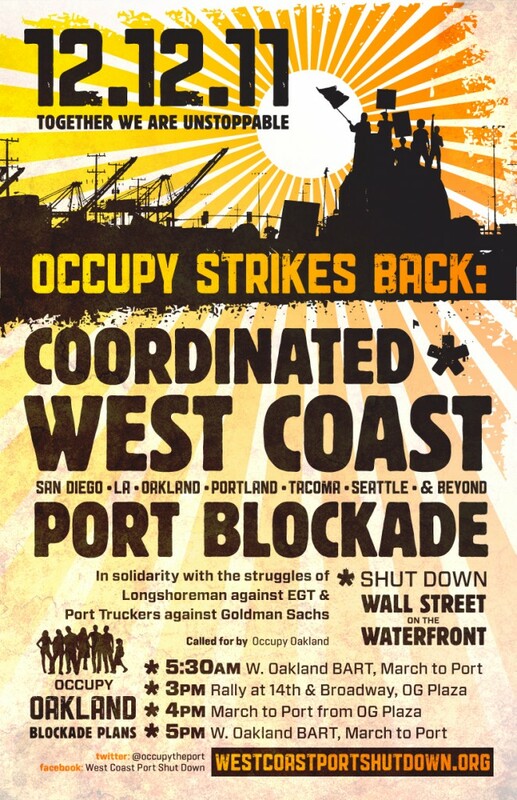 OccupyLA never seemed to have made such a radical leap (though I’m sure some in the encampment wanted to). It seemed they were more concerned with single-issue oriented campaigns against ‘government corruption,’ ‘greedy banks,’ or ‘eliminating the Fed.’ Although Occupy Wall Street began with the Situationist-inspired “Demand Nothing,” OccupyLA seemed ready to put out a list of grievances: an act which only further legitimizes the current order as something that need only be tinkered with, reformed, redressed. As it also seems that OccupyLA was infiltrated by the LAPD, all of this (combined with a general cop-loving) sentiment should come to no surprise. From the first (& only) time I attended the Occupy LA General Assembly I had a sour taste in my mouth. Members were putting to task the fact that there was active collaboration with the police at almost every step of the way by the “Security Committee,” and that it should thus be dissolved. Some in the GA could not understand why being surrounded by even “peaceful” LAPD officers could be intimidating to the “99%” they so desired to bring into the fold. A sentiment I often feel is that those that have never dealt with the police are the only ones who trust the police: most of us know better. 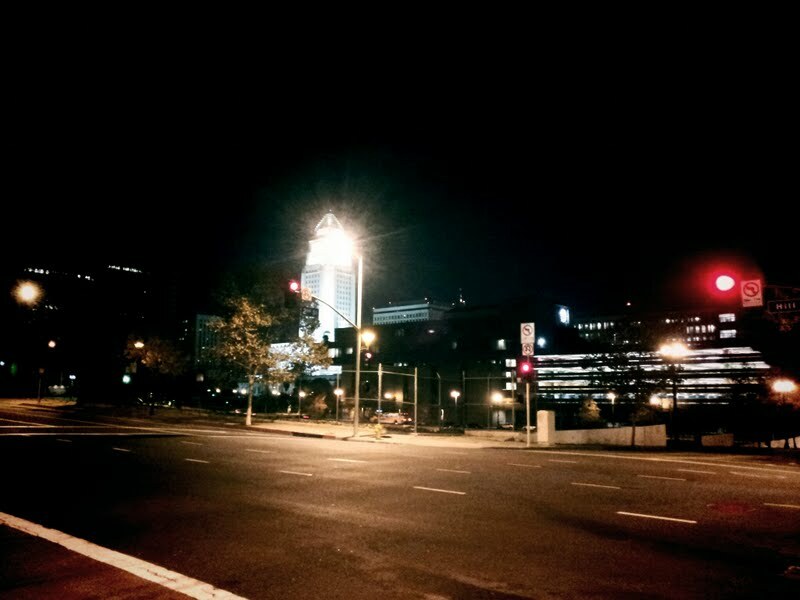 This entry was posted in Politica and tagged occupyla by Julio. Bookmark the permalink.